If you’re male, chances are you need to know about this, as it can make a big difference to your comfort, health and looks. Researchers say between 20-30%of men suffer from varicose veins in their lifetime. Unchecked, varicose veins can cause an unsightly appearance, pain and heaviness in the legs and in rare cases a Deep Vein Thrombosis (DVT). And while many men think that this condition only affects women or is just a matter of vanity, it goes far deeper than that and warrants proper knowledge, care and attention. Most guys think it is no big deal, or it’s a problem for other people but not them. But these ballooned veins are not just a cosmetic concern… Read on! Carrying weight and doing heavy lifting, or being on your feet a lot puts pressure on the blood vessels in the legs. The blood pools in the veins instead of circulating properly. The thin vein walls get stretched and expanded and over time they lose their ability to spring back to their normal state, especially if you are genetically predisposed to weakness in the veins. Valves that regulate flow and pump blood back to the heart are put under extra strain. The blood then follows the course of gravity and flows towards the ankles, instead of circulating as it should. This can lead to swelling in the ankles, a condition known as oedema. Other symptoms or effects include throbbing, pain and/or swelling in the legs. 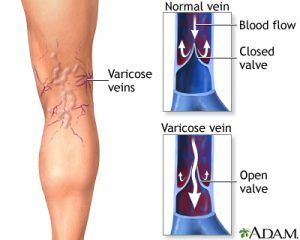 Unchecked, varicose veins can sometimes lead to more serious conditions, including clotting and pulmonary embolism, which can be fatal. So it is not a matter to dismiss lightly! Fortunately ultrasound technology can detect what’s going on quite easily. It’s a good idea to check before problems arise or get worse, as the condition can be hidden deeper in the legs. 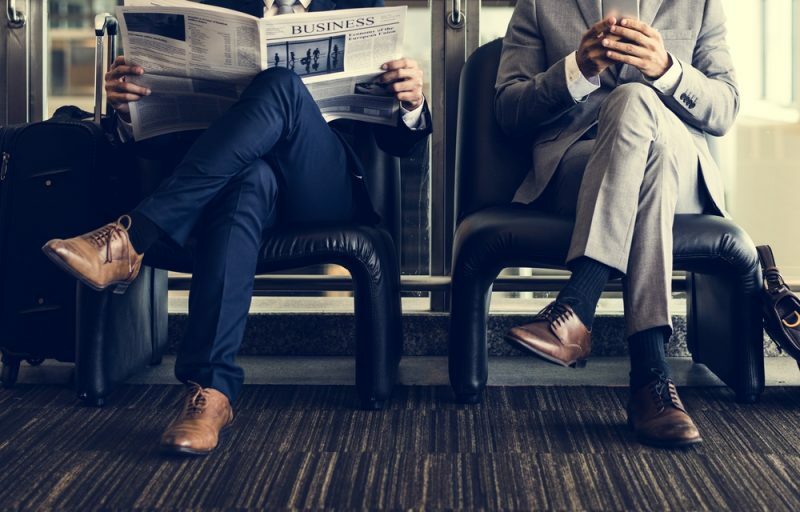 If you are noticing bulging, blueish or dark veins, a gnarly appearance in the lower limbs, or even just small spider veins, you may well be developing varicose veins and should seek medical advice. The good news is that treatment is far easier these days than it was in years gone by. The old way of dealing with this condition was to have complicated surgery to strip the veins, but now, thanks to new methods and technologies, it is much quicker and simple. A half hour or so in a clinic, with virtually painless laser treatment is one of a few straightforward methods now available to deal with varicose veins. So, don’t put it off. Take steps now to make sure you still have a spring in them later! 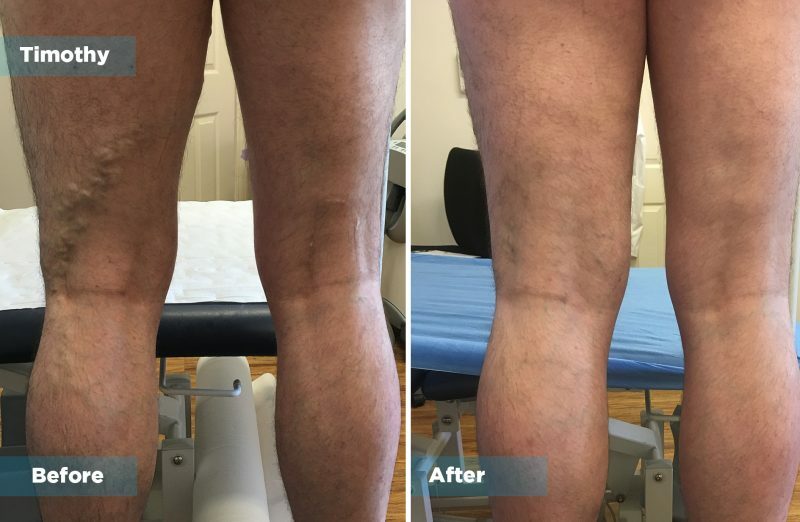 The example below shows the results achieved using laser technology to remove the varicose veins. If you suspect that you are suffering from varicose veins contact The Vein Institute on 1300 535 017 to book in your initial consultation. During your initial assessment Dr Zil will conduct a thorough ultrasound scan of your legs and provide you with a detailed treatment program that sees you restoring the health of your legs.